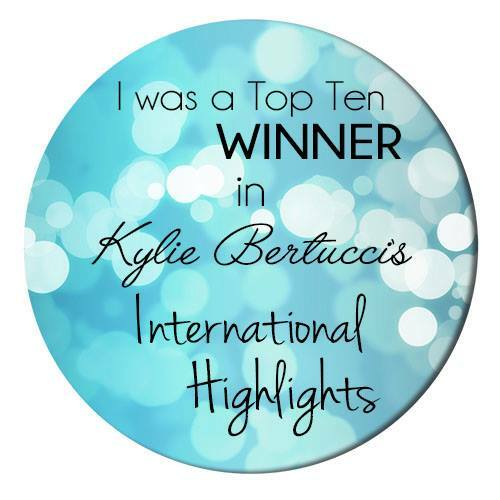 I am so excited to be part of Kylie Bertucci's February Blog Hop! We are an international group of demonstrators all working towards growing our business's and sharing ideas and inspiration along the way. Thank you so much for joining us ! 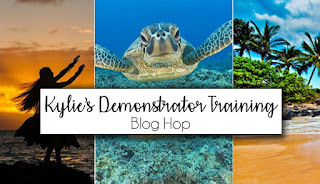 You may be starting here or have come from another blog. 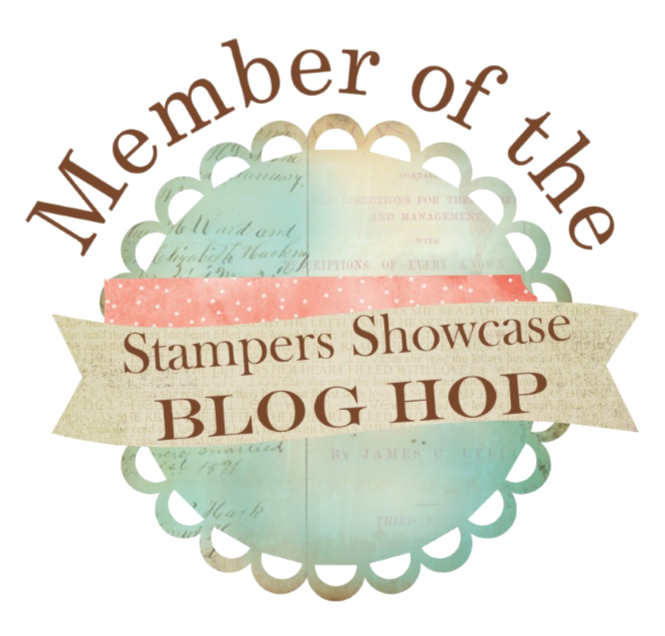 The list is at the end of the post do you can hop along from blog to blog getting lots of ideas and inspiration as you go. 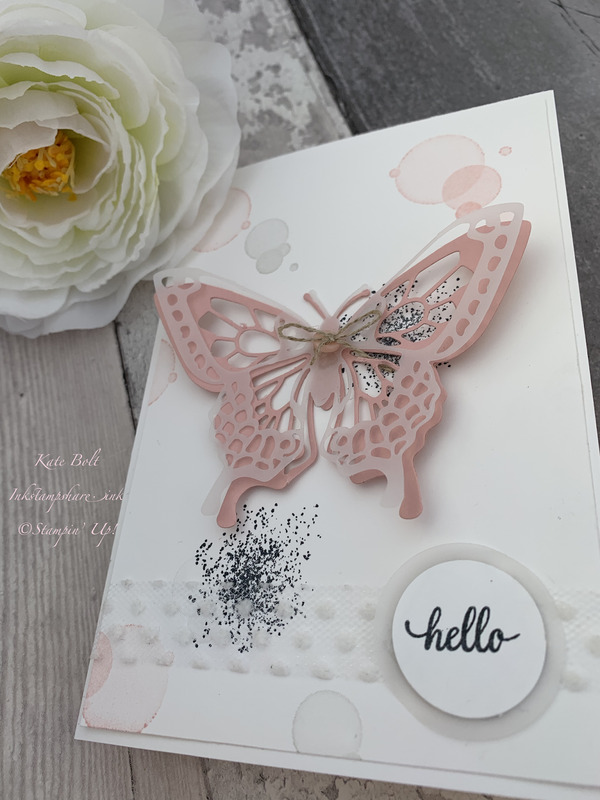 I've been playing with the new Beauty Abounds stamp set and Butterfly Beauty Thinlt Dies. These dies are gorgeous! I made a few of these for a team event I have just been to for a swap - we love to share inspiration and ideas. Thick Whisper White Card cut in half at 14.9 cm and scored in half at 10.5 cm. Whisper White card panel. 14.3 cm x 10 cm. Butterfly layers cut out in Powder Pink card and Vellum. The butterfly dies are different, allowing you to layer them. Needlepoint Nook mini buttons with a bow from linen thread. Circle of Whisper White card 3/4 "
Circle og Vellum 1 "
White Polka Dot Tulle Ribbon to finish it off. I do hope you like my card. 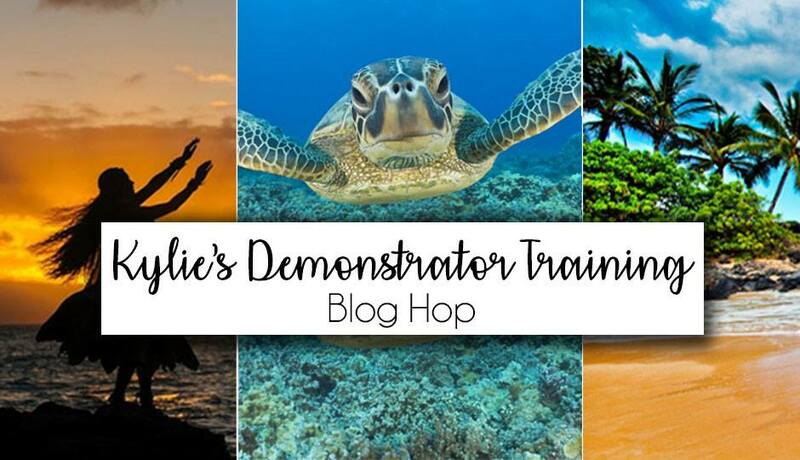 You can start or continue hopping around here, so grab a cuppa, and enjoy! Thank you so much Melinda, that's very kind. 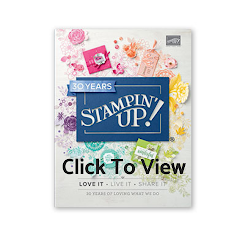 I never thought of using Vellum with that die set! Fantastic idea! 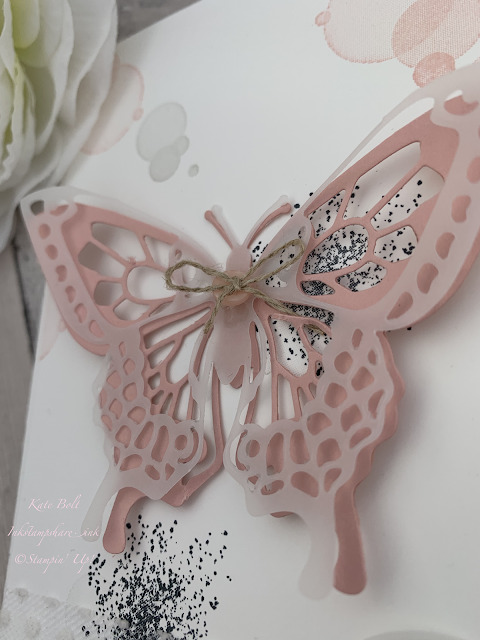 Very pretty card with soft colours. Perfect! Well done Kate!!! I love this set and you've made it look so pretty! So beautiful Kate - I love the soft colors.